For a long time I had a dream - to go abroad, to assess how people live outside their native Ukraine, to see firsthand all the "capitalist charms", which had heard so much. In this case, the term "foreign" means no post-Soviet space, not banal Egypt and Turkey, namely the old Europe. Implementation of many dreams and ideas begins with the words "A come ..? - Oh, come on! . "Exactly once, on the way to the university, began to embody my dream of traveling abroad, and after a few months with my classmate, we went on a trip to Europe hitchhiking. Describe all of our adventures over a ten-trip, I will not, because it would require a lot of time and printed words. However, I would like to focus on the theme of the bike on the Old Continent. So many have heard about the huge difference between the levels of development veloinfrastruktury for them and us. What can I say, we have this infrastructure until almost there. Arriving in a strange city, tourists often go to a bus trip to a short period of time to see the main historical and cultural sites. Some prefer the pedestrian walks. The last option is not very suitable when a huge city, and stay in it is severely limited. It is in this situation more than once and we turned out during our hitchhiking tour as planned route included seven major cities in Europe, and in some of them we stayed less than a day. In such cases it is advisable to use a bicycle as a primary means of transportation in the city. Advantages are obvious. First, the speed and mobility. Tourist cycling and hikers for the same period of time overcome completely different distances. The advantage of a cyclist on this indicator can be fourfold (and maybe more). Secondly, the feeling of being in an urban space while cycling is not less than a backpacker, you will not tell about the day-trippers on the bus. Agree to overcome quarters of the ancient city on the bike and in the bus - not the same thing. Traveling by bike, you feel the atmosphere of the city, its sounds and rhythm. You become part of the urban environment and it is not isolated from the glass of the bus. You can stop anywhere to take a photo, buy an ice cream or a souvenir, or just admire the scenery. Do not forget that the tour bus will travel paths of the park, in the central area or living pedestrian streets. A bike - easily! And finally, on the bike is better and more enjoyable than walking or bus seat. Although the latter argument is not convincing to all, because to each his own. Given the advantages of two-wheeled transport mentioned in the plan of our stay was included mandatory biking in Budapest. Assess the level of the Hungarian capital velosipedizatsii we could immediately on arrival in the city. After a hard, full of adventure road from Krakow to Budapest had to calm down and focus thoughts and impressions, because for both of us it was the first experience of all hitchhiking. So we went to the embankment to the river Danube with the city to admire the evening. Moving along the waterfront, we were in the midst of the evening traffic: every few seconds we overtook cyclists, skaters, skateboarders. There were many, and almost all had reflective clothing items and red beacons, thereby taking care of security. And first time I saw velosvetofor! Of course, me, a resident of the country where the bike path - this is no small achievement, traffic lights for cyclists impressed. The next day, our priority task after the exchange was to find bike rental. Even when planning a route in Ukraine I outlined on the map of Budapest, several bike rentals, so very soon we were in the saddle. Offered a choice of mountain and urban bikes are also free you could get a helmet. Prices were quite democratic: 1600 HUF, or about 6 euros for half a day. That was enough to see the entire historic city. Almost everywhere we went, there were bike paths. Where the band is marked for cyclists within the roadway, no driver allowed himself to go on a bike path, and nowhere to be seen parked on the bike path of cars. To quickly get used to this and feel completely safe. I still do not understand the reason for this strict adherence to rules and why we do not like that. High fines, or other effective laws mentality? Or all together? Anyway, thanks to the bikes we have completed our tour plan of Budapest for half a day, so in the evening is just walking without a purpose, because all the fun is examined. I remember the original, not the same as everywhere, traffic lights. Also in Dresden blends restored old architecture with modern buildings hi-tech style. After air bombing during the Second World War the city was completely destroyed. But today, looking at the development of modern Dresden, it is difficult to imagine that a few decades ago, there lay a pile of stones. And residents of Dresden like massively rest outdoors. For example, in one of the spacious lawns near our hostel people vacationing with their entire families, playing Frisbee, soccer, volleyball, and even exotic for us petanque. While walking their dogs on the lawn, no one comes to mind. For it is a penalty, and the rules are respected here! And at nightfall for everyone working cinema, where films are projected on the wall, and the audience sitting or lying on the grass on the banks of the Elbe. Talking about the level velosipedizatsii cities in Europe, I can not ignore Vienna. In this city bike in general is part of the transport infrastructure. Here every step possible to find automated bicycle parking. To take a bike, you need to use your credit card. Prices for rental of bicycles is not high, the first hour is free at all. The ubiquity of such bicycle parking can be used instead of two-wheeled transportation tram or metro as taking a bike at one point, you can leave it on the same parking lot in another part of town. However, there is one condition: the system in your payment card shall be the sum of 600 euros, which will be charged in case of bike theft. If such amount on the map is not - go not work. It is for this reason have not been able to take advantage of this service and we. This bike rental system with a single, centralized and uniform rental points I first saw in Paris. Also he is in Brussels, and probably in many other cities, because it is convenient and the service is popular. High level of development in Europe veloinfrastruktury very impressed me. None of the cities we visited, we saw no traffic jams. But all active Velokurjers police on bicycles patrol the city, and in the center of Krakow duty bicycle mobile medical team. Seeing firsthand how developed cycling abroad, you realize that it is convenient, environmentally friendly and not at all expensive. So why Kiev, which is a developed city, and has no part of what has reached the majority of cities in Europe? In my opinion, the reason is the mentality of people in certain stereotypes zakompleksovannosti in post-Soviet society. How else to explain the fact that the old lady in Paris on a bicycle - is the norm, and we can see this except in the villages. In the town the status of a person is determined by the car brand. However, the problem velosipedizatsii our city is optimism. 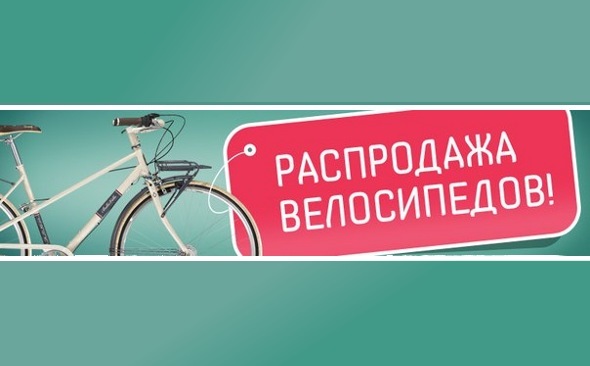 In recent years much has changed: bikeways began to appear (albeit very slowly), first appeared in Ukraine bike rental network, regularly held "Velodni", "Days without cars" and other promotions that attract the attention of the authorities, the media and the public. 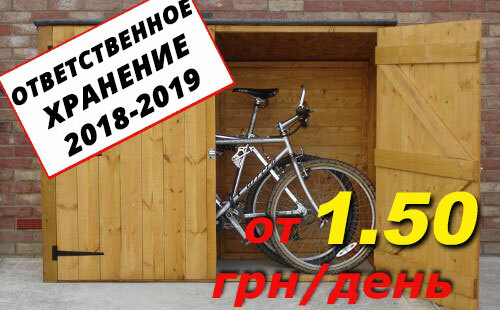 Cycling Kiev is growing and will soon overtake Europe necessarily!